Full of Noises are excited to be a supporting organisation in this year’s DoremiResidency programme, an annual, peripatetic group residency that invites emerging artists from around the country to Cumbria to forge links between artists and arts organisations working in urban and rural settings. Run by artist Jocelyn McGregor, the residency invites participating artists to create work, from sculpture to performance and film, in response to the site, culminating in an Open Weekend and exhibition of work made over the residency. 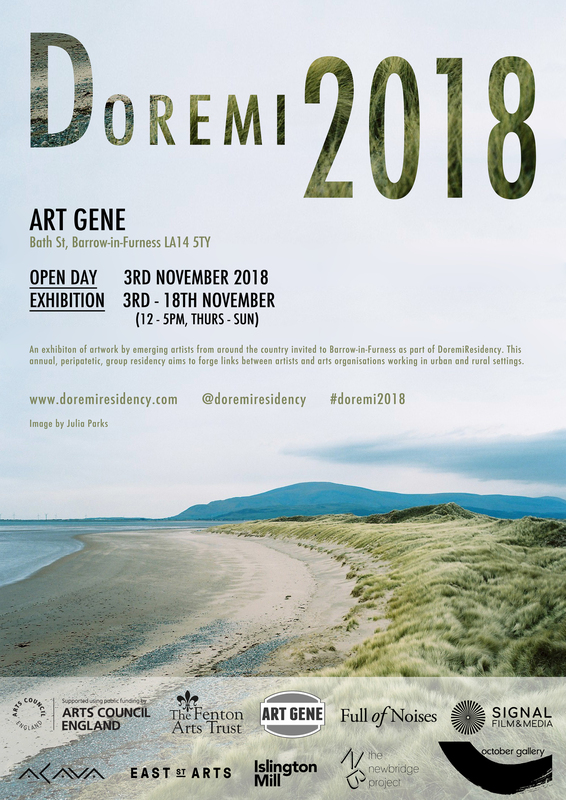 Join us for the Open Day and Exhibition of Doremi2018, showcasing artwork by emerging artists from around the country, created whilst in residence at Art Gene in Barrow-in-Furness with the support of Full of Noises and Signal Film & Media. Over 7 days the 14 nominated artists will live and work together, responding to the unique site of Art Gene, in the enigmatic area of Barrow-in-Furness. During the week, artists will have a local tour by John Murphy, as well as site tours from our hosts, and access to facilities at Art Gene, Octopus Collective and Signal Film & Media. 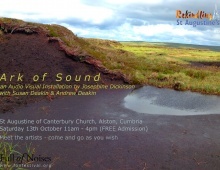 In response, the artists will explore Barrow’s rich industrial and maritime past, as well as it’s areas of natural and historical importance, such as South Walney Nature Reserve and Roe Island through a plethora of art forms, including sound art, installation and painting. The week will culminate in a public Open Day on 3rd November, with a programme of live art, workshops and a screening of Artist Film curated by Julia Parks to inaugurate the exhibition. A buffet Lunch and dinner will be served and open to all (catering by Christine McGregor), with a bar in the evening. 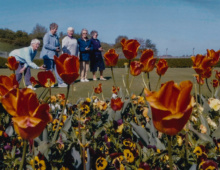 Public events will cater for visitors of all ages. ‘DoremiResidency’ is an annual group residency that invites emerging artists from around the country to Cumbria to forge links between artists and arts organisations working in urban and rural settings. 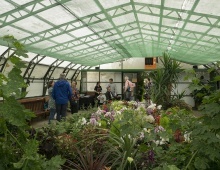 Now in it’s fourth year, previous residencies have taken place at The Merz Barn, the site of Kurt Schwitters’ last Merz Bau, in Elterwater; Florence Arts Centre, the site of the disused haematite mine, Florence Mine, in Egremont; and The Coniston Institute, a community run village hall in the heart of Coniston, in partnership with Grizedale Arts. 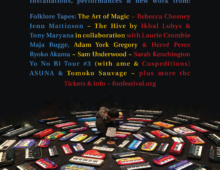 Participating artists have been nominated by partner organisations from around the country, including ACAVA (London), Art Gene (Cumbria), East Street Arts (Leeds), Full of Noises (Cumbria), Islington Mill (Manchester), The Newbridge Project (Newcastle) and October Gallery (London).